Scientists from around the world have access to a wide range of ARM resources to conduct research on Earth’s climate. Three fixed-location atmospheric observatories operate continually to measure cloud and aerosol properties and their impacts on Earth’s energy balance. Scientists use these observatories, along with the ARM mobile and aerial observatories, to obtain long-term and episodic measurements of radiative fluxes, cloud and aerosol properties, precipitation, and related atmospheric characteristics in diverse climate regimes. 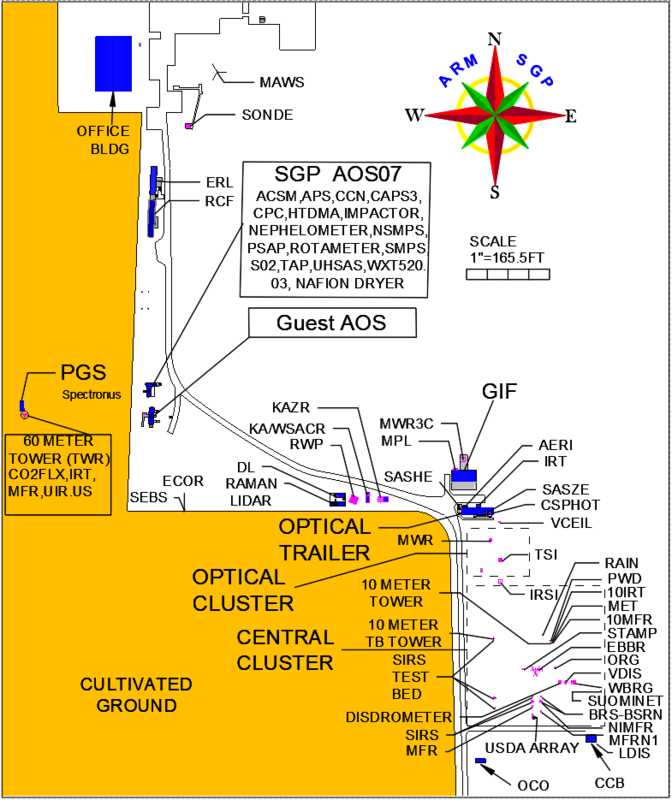 A comprehensive suite of cutting-edge instrumentation deployed at ARM atmospheric observatories is designed specifically to measure clouds, aerosols, radiation, and the interactions among them. Many of the scientific needs of ARM users are met through higher-order analysis and processing of existing data products into “value-added” products, or VAPs. Instrument data are used as primary inputs into the algorithms used to create higher-order data and are an important translation between instrument measurements and geophysical quantities needed for process understanding and model parameterization and development. A VAP is put through extensive tests and reviews before obtaining production status. During this process, VAPs are made available to the scientific community as evaluation products so ARM can receive feedback from researchers. Some VAPs are provided by ARM from external data produced by other agencies or organizations as a courtesy to ARM users. ARM users also develop data products during their own research and make them available to the community as principal investigatory (PI) products. The LES ARM Symbiotic Simulation and Observation (LASSO) Workflow project—a two-year, high-resolution, model development pilot project—combines observation data and large-eddy simulation (LES) modeling to support the study of atmospheric processes, improve observational retrievals, and accelerate the application of ARM observations to improve parameterizations of clouds, aerosols, and radiation in climate models. The ARM Data Center offers a public software development space that provides a mechanism to work with large volumes of data without having to download them. The Data Processing and Visualization Cluster provides programming ability in PythonTM, MATLAB®, and IDL®, as well as specialized software such as the Python ARM Radar Toolkit (Py-ART).